Pictured here is Jean Quincy and her daughter, Lynn Reynolds. 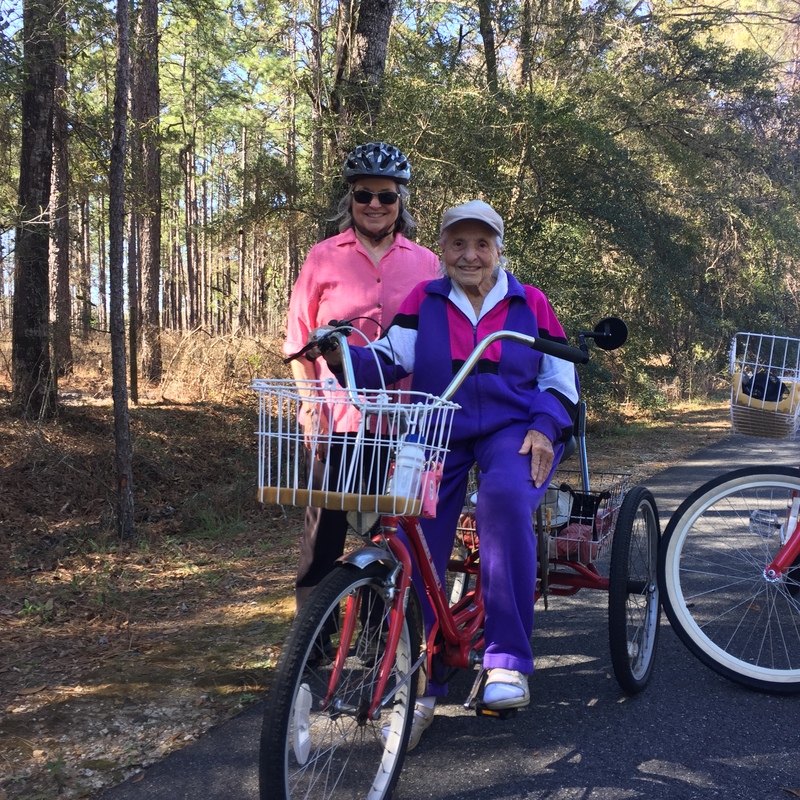 Jean is 97 and rides her bike along the St. Marks Trail everyday! Jean says she attributes her youthful disposition to riding the trail daily! Both Jean and Lynn said they are excited to add the U.S. 98 Coastal Trail to their riding route once constructed! What a wonderful example of how shared-use paths can be enjoyed by all! This entry was posted in Telling the Story by katelynwidness. Bookmark the permalink.